A well prepared Preston Docks circuit was the home for the day as the Monster DRT Kawasaki squad headed north for the penultimate round of the Maxxis British Championship. In the first race, Max continued his aptitude for holeshots by powering his Cosworth Kawasaki straight into the lead. Continuing with a faultless ride the track started to become more technical, allowing Anstie to pull away from the pack and bring home the first chequered flag of the day. To make things a bit more difficult on the current points leader, a mediocre start saw the Brit around 8th/9th in the first lap. 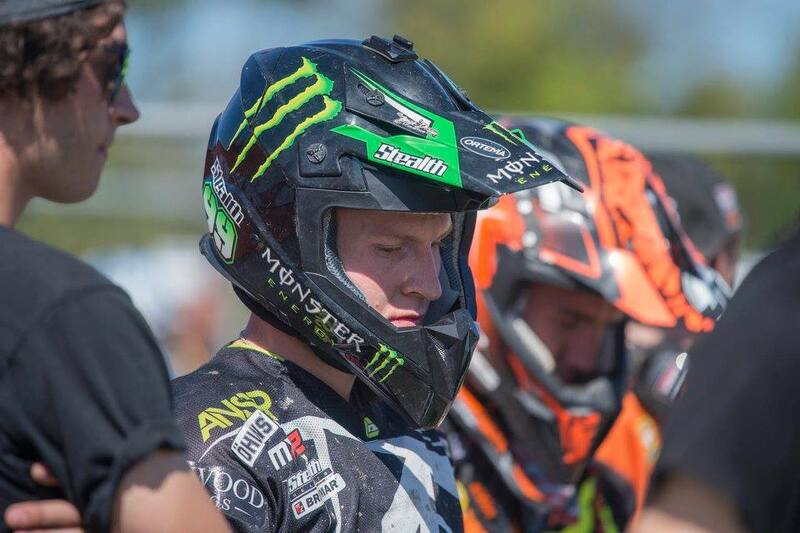 Determined to show his recent skills as one of the fastest guys in the paddock, Anstie soon took an advantage on the ever-evolving Preston Docks circuit that allowed his un-paralleled ability ato navigate the rough track, gifting him another win. For the final race of the day Anstie was keen to show his full potential, with the track now at it’s roughest and Max at his best form it was a dominant performace from start to finish, ending off another perfect round for the team. The team will now head to the americas for their final voyage in the GP circuit as the closing two rounds heat up with Anstie third in the Championship standings.